There's a new movement underway that's changing the way we live, work, and play. 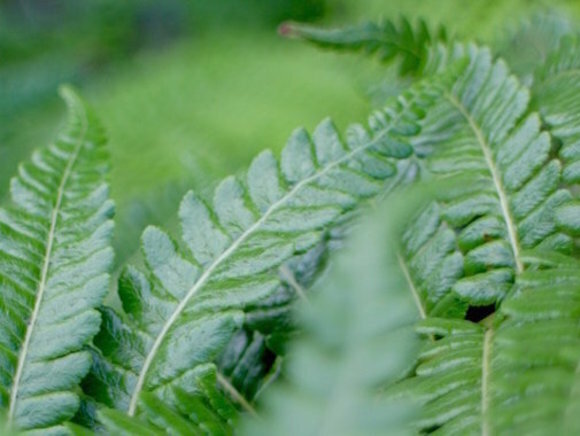 As more of us opt to live beyond the four walls of our home, we're finding that convenient access to restaurants, shops, work, and Hawai'i's natural bounty are paramount. We call it Smarter Living and we've designed an entire residential tower around this vision. 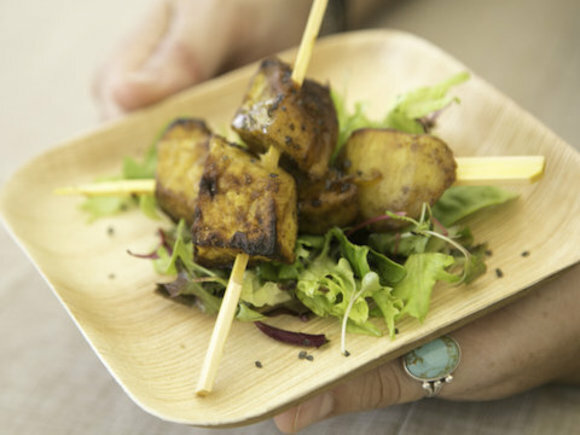 With that in mind, we'd like to introduce you to 'A'ali'i, an entirely new concept in Ward Village. Designed by renowned architectural firm Solomon Cordwell Buenz (SCB) and The Howard Hughes Corporation, 'A'ali'i is inspired by both the rich natural history of Ward Village and the latest advances in modern design. 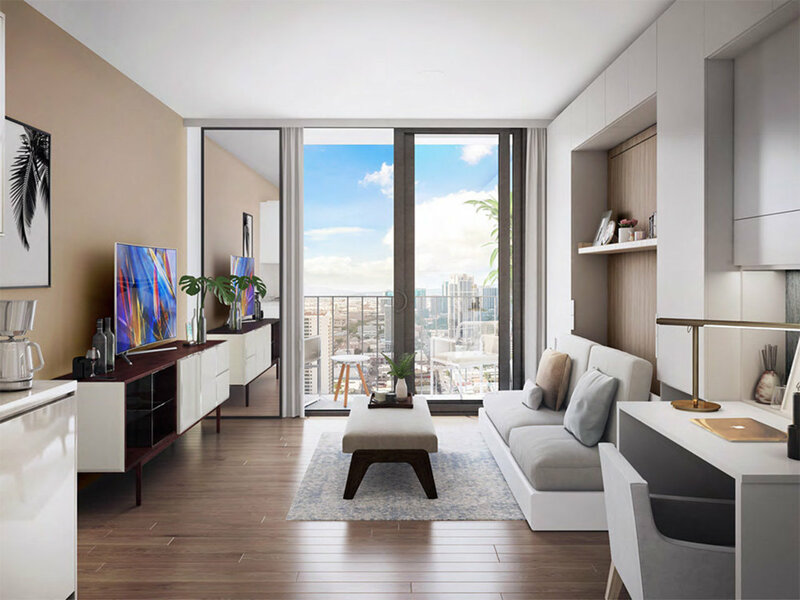 SCB, the same architecture firm that helped usher Anaha into Honolulu's skyline, worked tirelessly with an all-star interior design team to craft a premium residential tower that offered homeowners turnkey living in the heart of a thriving community. When we say "turn-key" we mean it. Everything you could ever need for your home is ready for you and can be tailored to your personal preferences. From the sheets to silverware, from credenzas to rice cookers, it's all yours. And that's just getting us started. Moving in truly couldn't be easier. And did we mention that all tower homes offer a breathtaking lānai? Imagine coming home to an apartment that could very well have appeared within the glossy pages of your favorite design magazine, but it's all yours and perfectly decorated. You can practically taste that first pau hana cocktail while watching the sunset hundreds of feet above the shore. All that, and we barely touched on the rooftop sky lounge, which we're dubbing Lānai 42. From this vantage point, perched above the city, residents can connect with friends over a cocktail while taking in a warm Honolulu sunset. It's been said that a life well-lived rarely happens indoors. 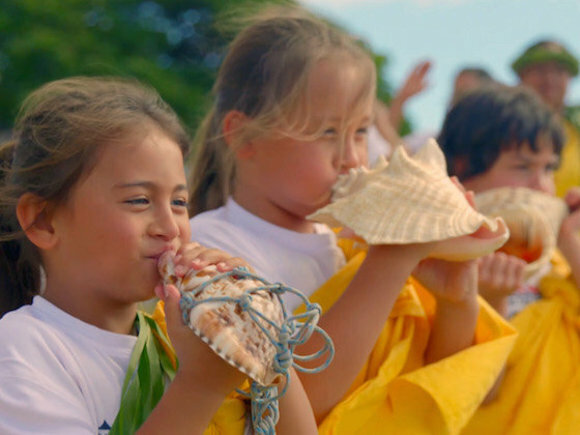 And while we may have an affinity for quality goods and smart design, for many residents, the benefits of living in the heart of the city–surrounded by a thriving community of friends and Hawai'i's natural beauty–have proven paramount to their happiness. In the end, 'A'ali'i is a place that reflects your deepest values: living smarter, living cleaner, embracing the beauty of simplicity. 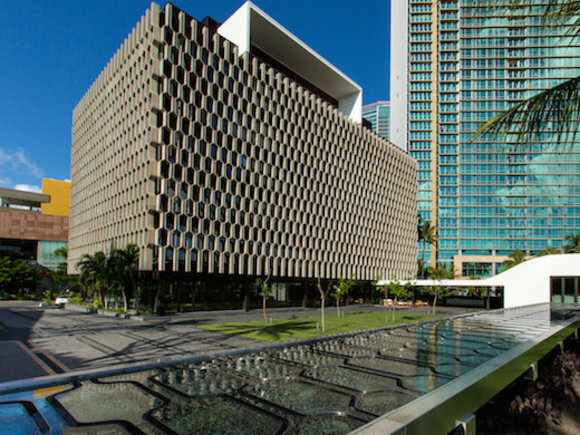 Recently, as part of our Smarter Living series, Dwell Magazine's editor, Amanda Dameron, spoke on the beauty of simple, smart design and its ability to maximize space in a talk story session held at Ward Village's IBM Building. "The trend we're seeing more of now is that homes are going smaller and we're using smart design to maximize space." As Dameron noted, advances in smart design can truly transform living spaces, allowing comfortable, chic living in as little as a few hundred square feet. "Part of what we're trying to show at Dwell is that the more you can really dial it back to design thinking, and the concept that good design can go a long way." All 'A'ali'i studios are designed to incorporate smart, modular furniture, creating a truly efficient living environment meant to maximize every square foot. Here, bulky closets are streamlined to disappear and beds are able to blend perfectly into walls. Famed designer Lauren Rottet, who tirelessly worked to create the interiors, took a careful look at each and every element tied to each room to ensure that every piece coalesced to forge a beautiful home, all the while maximizing space. "We looked at the design of every object. We wanted to ensure that it had purpose, a reason for being," she said. "We've been thoughtful about every piece that's been incorporated into the home, how it fits your needs." There's a new movement underfoot and 'A'ali'i is at the vanguard. 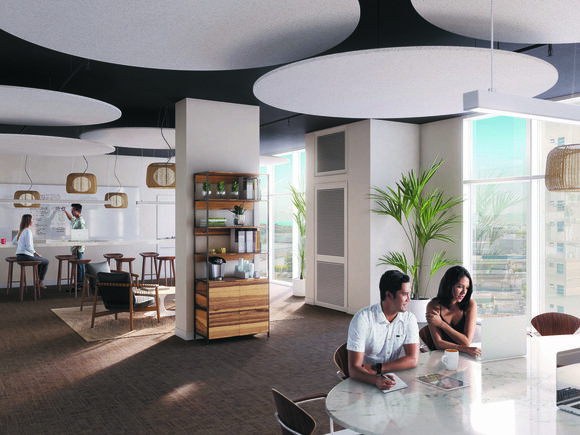 With a focus on smarter living, turn-key move-ins, and community, 'A'ali'i represents a new chapter in the way Ward Village residents live. We look forward to showcasing this new residence that reimagines what we can expect in contemporary urban living. Welcome to the smarter living movement. Welcome to 'A'ali'i. To learn more and register your interest, please visit the new 'A'ali'i website. 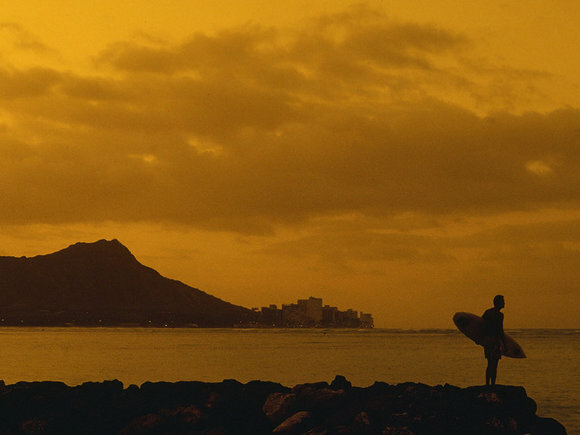 Join us for a special series of films plus vintage photos & surfboards this summer! 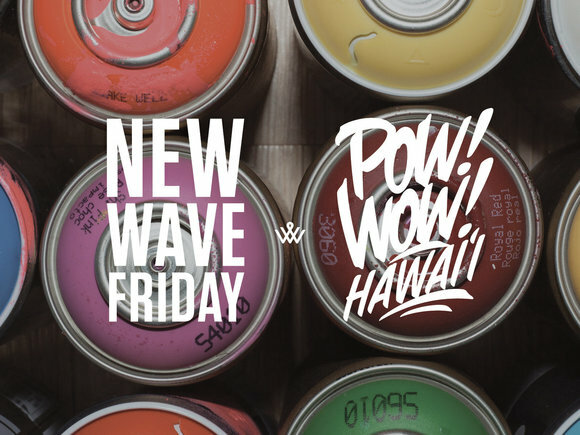 We're excited for an art-inspired evening on February 22 for New Wave Friday!